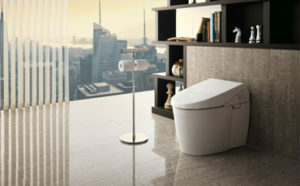 2 What Differentiates Toto Toilets from the Rest? 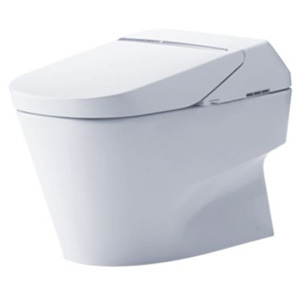 Dimensions : 28.1 x 14 x 27.8"
Dimensions : 28.6 x 11.6 x 26.9"
This is, without a doubt, one of the most popular toilets manufactured by TOTO. 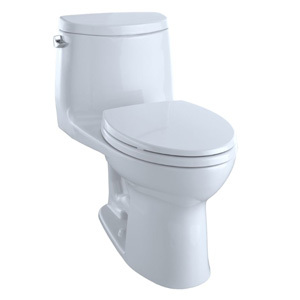 In order to facilitate optimal comfort and ease of use, this toilet features an elongated bowl design. If you choose the toilet seat accordingly, the height of the toilet is similar to that of a chair. 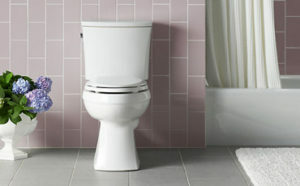 Moreover, since this toilet is available in various colors, you can pick the one that suits the style of your bathroom. Moving on, this model uses TOTO’s renowned double cyclone flushing technology. This optimizes the efficacy of the 1.6-gallon flush. Concurrently, for the same reason, the water outlet is quite large, whereas the powerful siphon action increases the flushing action. 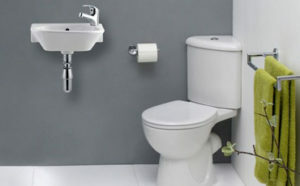 Also, due to the specific design of the unit, the waste is removed completely after a single flush. On a different note, thanks to the ceramic glaze construction, your input when it comes to maintaining the toilet clean are minimized. In other words, the toilet remains cleaner for an extended timeframe. On the other hand, this might not be the best toilet for shorter people, due to its height. Also, you have to purchase the toilet seat separately, which could be a small inconvenience. 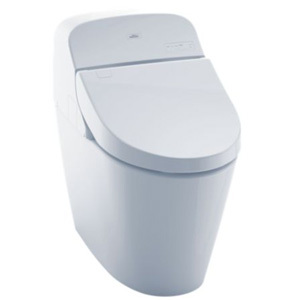 This toilet belongs to the higher range of products, and it comes with numerous advanced features. We could say that it is the definition of convenience. Due to the minimalist design, there is no place for bacteria and dirt to hide. So, maintaining this clean should be a breeze. The manufacturer provides a comfortable SoftClose seat with the purchase. However, this isn’t a standard toilet seat, as it comes with temperature control – allowing you to regulate the temperature. At the same time, it closes and opens automatically either by remote or sensor. Since the sensor is quite sensitive, this could be a bit problematic if you have pets. 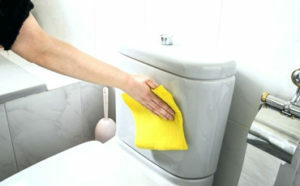 As for the patented SanaGloss glaze, it does an amazing job at keeping the surface of the toilet clean. Besides that, this shiny finish repels bacteria and dirt. In addition, the double cyclone flushing system is really powerful, even though it utilizes between 1.0 and 0.8 gallons of water per flush. Not to mention that it flushes automatically, adjusting the necessary size of the flush for a thorough cleanse. Last, but not least, due to the electrolyzed water technology, the water is maintained clean between the flushes. Another TOTO toilet that is definitely worthy of your attention is the Ultramax II. The one-piece design gives it a timeless, modern appeal, meaning that it looks great in any bathroom. 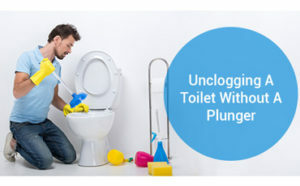 Also, in comparison with two-piece toilets, this unit is much easier to clean and maintain. 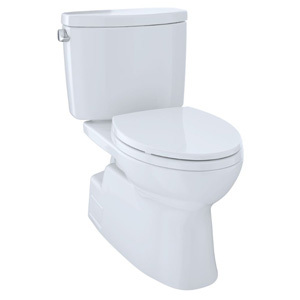 Since it uses only 1.28 gallons of water per flush, this unit is presented as a high-efficiency toilet. The industry standard for water consumption is 1.6 gallons of water. Even though it may not seem like it, in the long run, it adds up. Plus, even if this toilet utilizes less water than standard toilets, this doesn’t make it less efficient whatsoever. Furthermore, the height of this toilet is universal, whereas the bowl is elongated. Thus, these features are great for persons with disabilities. What is more, this toilet is really comfortable. Even so, a shorter person might find the toilet a bit too high and troublesome to use. So, bear this in mind. 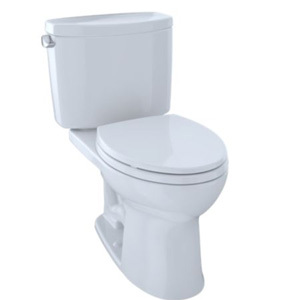 If you like classically designed toilets, we believe that this particular model should meet your specifications. Additionally, both the shape and height of the toilet make it ADA compliant. As it is the case with most TOTO toilets on the market, this one features a SanaGloss finish, as well. This is a distinguishing characteristic of TOTO toilets, as it keeps them cleaner while reducing the need for regular manual cleaning. When it comes to its efficacy, this toilet offers decent results due to the double cyclone flushing system. The water consumption is also kept to a minimum, which is a good thing if you want to save on the water bill. To be more specific, as this toilet uses only 1.28 gallons per flush, it is EPA Water Sense certified, being labeled as a high-efficient toilet. What you should note before purchasing this item is that the water spot is smaller than that of a standard, traditional toilet. 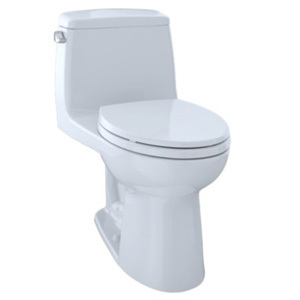 On a different note, if the fixture for the toilet is too close to the wall, you might need to get a 10-inch rough-in toilet from Toto. This is another highly-efficient toilet, which consumes only 1.28 gallons of water per flush. Simultaneously, it adheres to the EPA Water sense requirements, while being ADA compliant. That is to say, its universal height makes it suitable for most people – including those with disabilities. 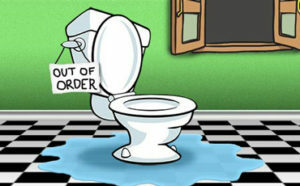 Due to the SanaGloss finish, the surface of the toilet actually inhibits the growth of microbes and bacteria. Not to mention that this significantly eases the cleaning process. Design-wise, this is far from being a typical toilet you would see in any bathroom – quite the opposite. It features a unique design, with clear, retro lines. And even though it may seem like a two-piece toilet, it is actually a one-piece unit. As for its flushing system, it is utterly efficient – the Dual Cyclone system delivers water through two jets, in order to maximize the efficacy of the flush. Nonetheless, due to the one-piece design, you should note that this toilet might be more troublesome to install than a traditional unit. Also, due to the location of the drain fitting, the toilet should be mounted farther than usual. Therefore, make sure you assess the measurements beforehand. This bidet toilet is a significant investment, being a state-of-the-art toilet. In order to minimize the need for manual cleaning, this unit combines a highly efficient flushing system with a high-gloss surface. Simultaneously, the finishing of the toilet restricts the spread of bacteria, while diminishing the development of stains. If you’re thinking of investing in a bidet, getting this toilet that incorporates one could make sense. It facilitates both front and rear washing, featuring five distinct adjustable temperature and pressure controls. Moving on to other automated features, the toilet seat is heated, while opening and closing automatically. This is utterly convenient, especially at nighttime. Other characteristics worth mentioning are the warm air dryer and the air deodorizer. Are there any downsides that come with the purchase, though? Due to all the automated features, this toilet is electrically powered, which would require you to install it in the proximity of an electrical outlet. This could interfere with the installation process. Our last recommendation is the Eco Ultramax, which addresses the industry efficiency rating when it comes to water consumption per flush. The design of this toilet is minimal and sleek. Moreover, the SanaGloss technology aims at maintaining the toilet clean, not to mention that it minimizes the amount of work you have to do in this respect. Another great characteristic is that the toilet tank is refilled right away. Plus, both flushing and refilling are pretty quiet, especially in comparison with other toilets on the market. Nevertheless, bear in mind that this toilet doesn’t come with an included seat. That being said, you should purchase one separately. This could be a tad inconvenient, as it has been noted by former customers. Aside from that, though, this product is an excellent purchase, displaying top-notch quality and craftsmanship. What Differentiates Toto Toilets from the Rest? Whether you’re looking for wall-hung toilets or corner toilets, you’re likely to get across Toto. And this is for a good reason, as the manufacturer’s reputation as a leader in the industry is far-reaching. 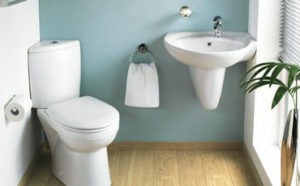 That being said, we’d like to tell you what differentiates Toto toilets from other units on the market. 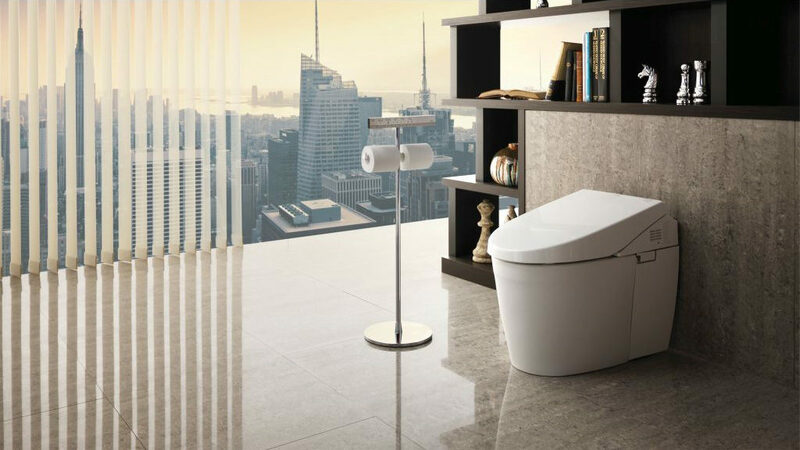 Toto utilizes innovative technology when it comes to manufacturing their toilets, in order to promote a high level of comfort and convenience. The company concentrates on doing research in order to offer superior quality with every developed product. Toto aims at preserving the environment by outlining the importance of saving water and diminishing the use of toilet paper. It accomplishes this by manufacturing toilets that use a limited amount of water. 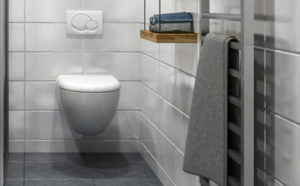 Concurrently, many of their pricier models come with a washlet, which further aims at eliminating the need for toilet paper, while promoting optimal personal hygiene. 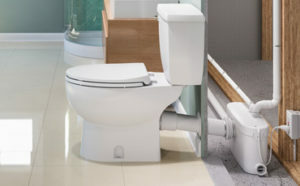 Toto toilets come in two distinct configurations, being separated into one-piece and two-piece toilets. To start with, if you prefer a minimalist, sleek design, we believe that a one-piece toilet might be more suitable for you. Even if these models are usually more expensive, they are easier to clean while having a unique aesthetic appeal. 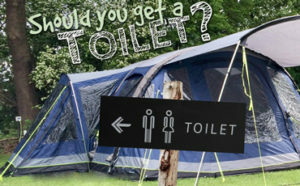 However, if you’re on a budget, getting a two-piece toilet might make more sense for you. Even though these units aren’t as sleek as their counterparts, due to the taller tank, the flushing power might be higher. The shape of the toilet is equally important. In this view, Toto utilizes various designs. Depending on the space you have available in your bathroom, some units might be better suited for you than others. 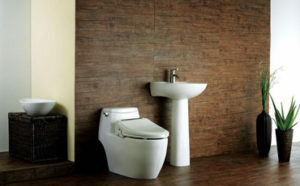 For one thing, elongated toilets are best suited for smaller bathrooms. That is to say, if you’re on the lookout for compact toilets, a unit with an elongated bowl would fit best. On the other side, if your bathroom is pretty wide, but you don’t have a lot of room in the front of the toilet, due to any apparatus or vanity, a toilet with round bowl would allow you to maximize your space. That’s because these toilets are usually round and short. Nevertheless, this makes them widely uncomfortable for taller users. And lastly, there are toilets that come with a D-shaped bowl. Supposedly, this category provides the best out of the two worlds. 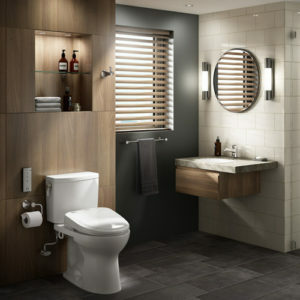 Hence, these toilets are elongated, while remaining compact, which is why they are popular for many bathroom setups. We’ve already mentioned that Toto is a recognized innovator in the toilet marketplace. As you’ve seen in our reviews, many of their toilets come with really impressing characteristics. We’ll briefly outline the main ones so that you determine what is most important to you. The majority of Toto toilets on the market feature SanaGloss technology, which is acknowledged as the manufacturer’s staple. This maintains the ceramic surface free of mold growth and debris. Plus, it eases the cleaning process. A heated seat comes in really handy, especially during the winter. This is something you get by investing in a state-of-the-art, innovative Toto toilet. Concurrently, some toilets are equipped with an automatic lid that closes and opens when it detects motion, or by remote control. This characteristic aims at providing you a hands-free experience, which increases your cleanliness after using the restroom. If a toilet comes with a remote control, this would allow you to adjust the temperature of the heated seat, control the flush, turn the nighttime on and off, so on and so forth. Many Toto toilets come with this advanced feature that eliminates the unpleasant odors linked to using the bathroom. This characteristic is definitely convenient for nighttime visits to the bathroom when you don’t feel like turning on the light. Also, children who are afraid to use the bathroom at night will find this useful. 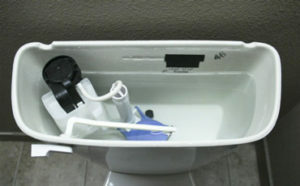 Moving on, the toilet’s flushing system is really important, as this determines the amount of water used in the process. Firstly, there is the double cyclone flushing system – this utilizes centrifugal force and gravity, in order to get maximum flushing power. Most importantly, though, it uses only 1.28 gallons of water per flush. 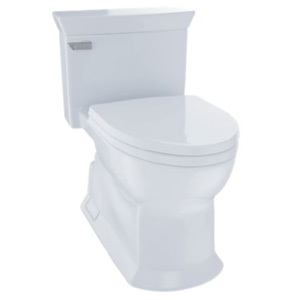 The tornado flush uses 1.28 gallons of water per flush, as well. Its efficacy comes as a guarantee due to the two nozzles that deliver a complete centrifugal rinsing. Meanwhile, there is also the dual-max flushing system that enables you to control the amount of water used for flushing toilets. Depending on your needs, you can determine the water usage – which ranges from 0.9 GPF to 1.6 GPF. It comes as no surprise that the best Toto toilets are taking over the world. In fact, there is a specific model that has impressed users from all over the world, due to its mixture of advanced features. 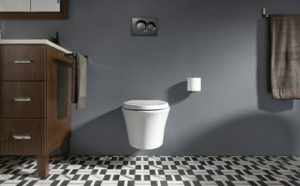 Our aim was to include a variety of Toto toilets that fit various price ranges. While some models are pricier than others, it’s worth noting that every Toto toilet is worth the money. 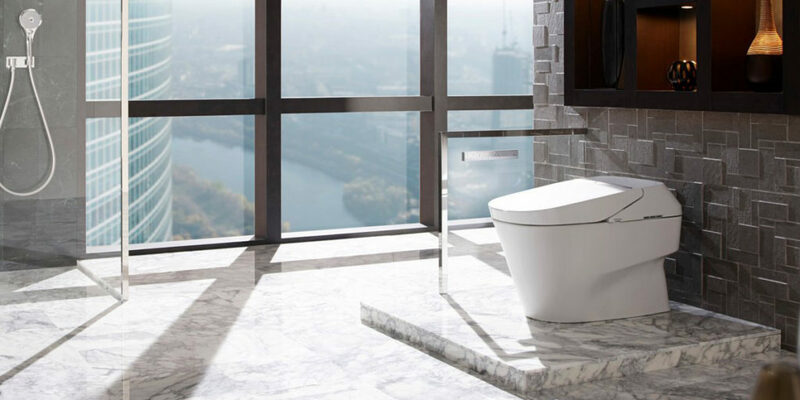 The bottom line is that TOTO continually aims at enhancing the toilets it produces, including state-of-the-art, advanced features, making it easy for users to maintain the toilets clean while reducing water consumption. 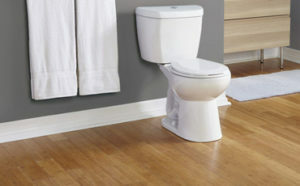 Hopefully, our Toto toilet reviews are a decent starting point in your quest for finding the right unit for your needs. Since each user has specific requirements, make sure you choose your toilet by taking those into account.